All welded heavy duty construction. These Bi-Fold Door Cabinets in powder coat finish feature all welded, heavy duty construction and include a 3-point locking mechanism with a built-in cylinder lock and 2 keys. 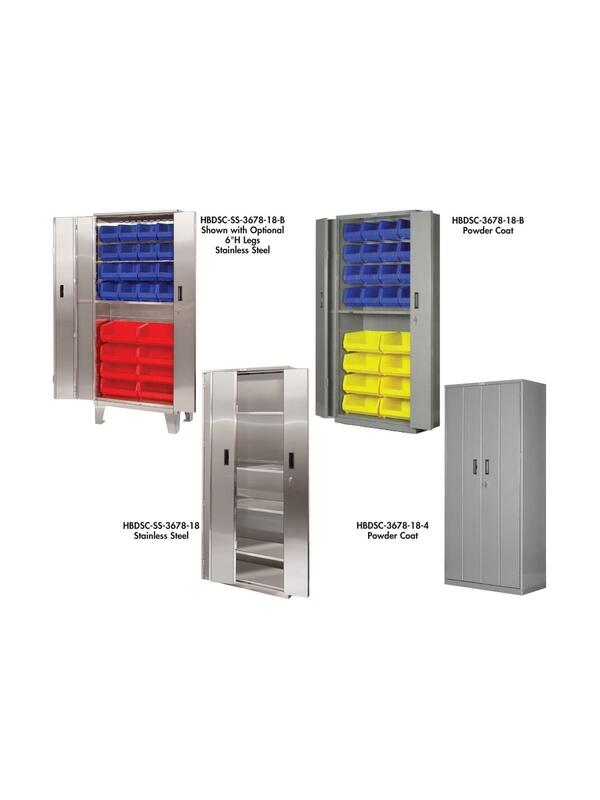 Standard units include 3 adjustable and 1 fixed shelf. 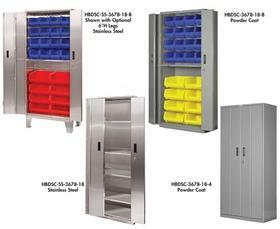 Suffix (-B) come equipped with 16 each 14 x 8 x 7" and 8 each 14 x 16 x 7" storage bins and include 1 fixed shelf. Optional additional shelves in chart below. Add HBDSC-6LEGS for 6" H. cabinet legs. FOB Shipping Point. Available Colors: Gray, Dark Green, Vista Green, Dark Brown, Beige, Dark Blue, Light Blue, Orange, Red, Putty, Black, White and Yellow. Also available in Stainless Steel. See chart below.